Move in Ready!!! This 4 bedroom, 2.5 bath home located in The Shires of Westchase has been meticulously cared for. The home has been beautifully updated, and the pride of ownership abounds. Home is situated on a private conservation lot with an inviting large screened-in lanai complete with a hot tub and gazebo, great place to relax. Inside, the kitchen has it all, wood cabinets with granite counter tops, oversized breakfast bar, microwave/oven combo with a warmer drawer, gas cooktop with a range hood and a wet bar featuring a bar/wine fridge, sink and second dishwasher…great for entertaining and gathering. The family room is located just off the kitchen with a gas fireplace and French doors that lead to the screened in lanai. Next to the family room you will find a large laundry room and ½ bath. Upstairs are 3 bedrooms and a full bath along with the large Master Suite and Master Bath that was just updated with beautiful tile, frameless glass shower doors, garden tub and stone countertops on the dual vanity. Newer ROOF & AC were both installed in 2015. If you are looking for an updated, move-in ready home, centrally located in the desirable area of Westchase then look no further. Nothing left to do except move-in! 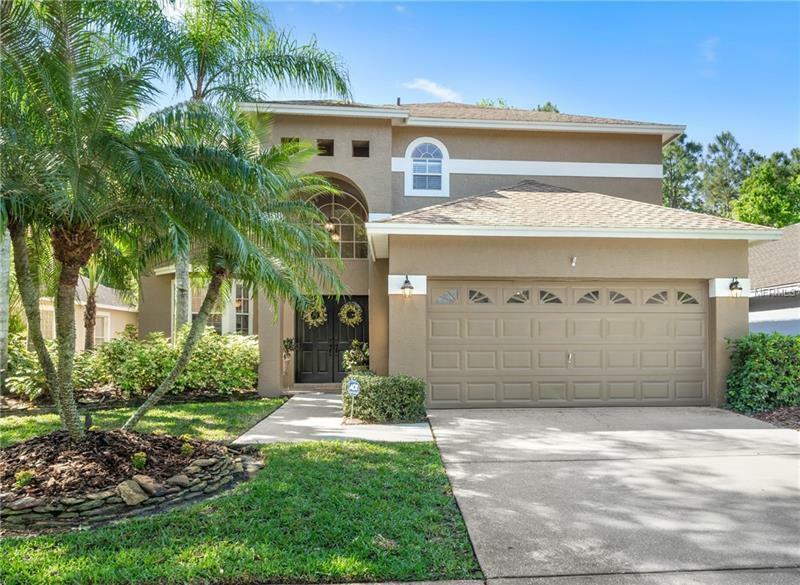 This home simply has it all and is conveniently located with many local restaurants, shopping and an easy commute to Tampa Intl., downtown Tampa and the beaches. Make an appt. to see this home today… You will not be disappointed! All information deemed reliable; buyer to verify.